In this tutorial you will see how you can straighten the horizon and change the color into the evening scale. Below are the photoes in compareson. The source image was taken from the plane through the passenger cabin window. We can see that it is too dark and lack of contrast. 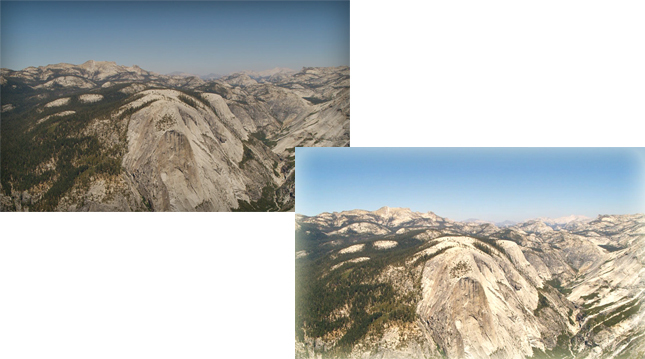 After being corrected the image looks much better and natural. Below is the step-by-step description of the method. Such image corection consists of two parts. 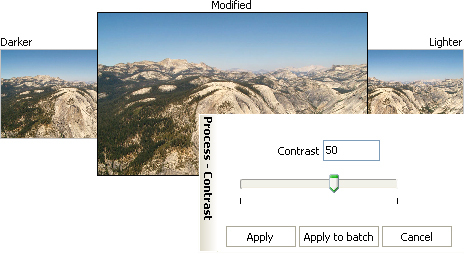 First of all we will use Contrast action dialog box. The next step is brightness correction. 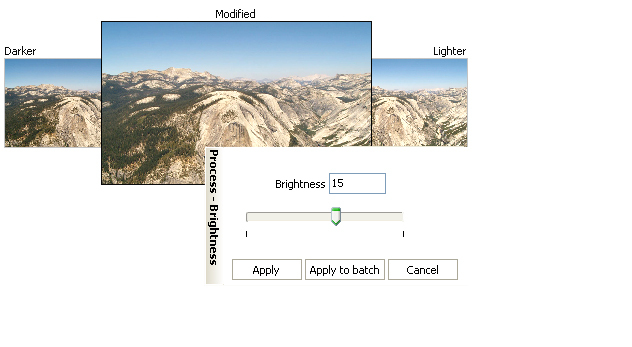 We will use Brightness action dialog box. You've seen the way to change contrast and brightness of the image. For the best result please try different values of the parameters we changed.